Only one thing is important, making your special day one to cherish. We are there to make your wedding one to remember. 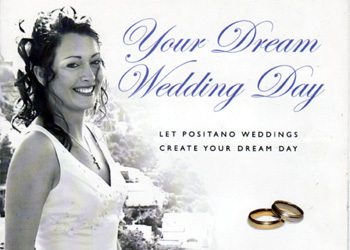 Wheter you have set your heart on an intimate affair in one of the regions&apos; romantic little chapels, or a more formal celebration in Positano&apos;s stunning cathedral - you can spend as much or a little as you like.